Tom Delonge (Blink 182 & Angels and Airwaves) – ASHLAR LODGE, No.3, A.F.& A.M.
As part of our Music and Masons series, here is a page on former Blink 182 member Tom Delonge, who has been reported to have been Initiated into Widow’s Son Lodge, No.17, a Prince Hall lodge in Kansas City. 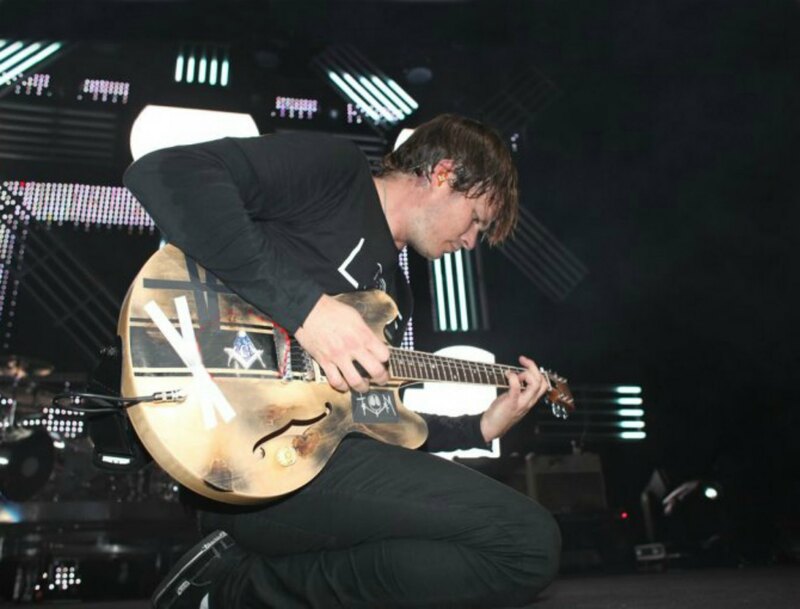 Tom Delonge often displays Square and Compasses and other Masonic imagery on his guitars and clothing. He is also a member of the band Angels and Airwaves. Tom Delonge onstage displaying a Square and Compasses on his guitar. Here is an interview with Tom Delonge in which he discusses Freemasonry and does not deny being a Freemason. Despite the title on the video he doesn’t actually confirm it either, so we’re treating his Masonic membership as unconfirmed at this point.